Gary Wasserman’s decision to head to Qatar to teach at Georgetown sounds questionable, at best. “In the beginning,” he writes, “this sounds like a politically incorrect joke. A Jewish guy walks into a fundamentalist Arab country to teach American politics at a Catholic college.” But he quickly discovers that he has entered a world that gives him a unique perspective on the Middle East and on Muslim youth; that teaches him about the treatment of Arab women and what an education will do for them, both good and bad; shows him the occasionally amusing and often deadly serious consequences his students face simply by living in the Middle East; and finds surprising similarities between his culture and the culture of his students. Most importantly, after eight years of teaching in Qatar he realizes he has become part of a significant, little understood movement to introduce liberal, Western values into traditional societies. 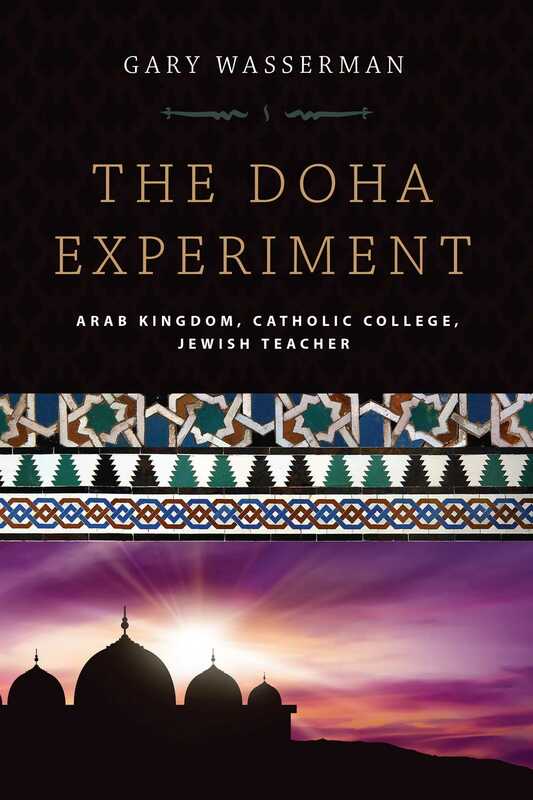 Written with a sharp sense of humor, The Doha Experiment offers a unique perspective on where the region is going and clearly illustrates why Americans need to understand this clash of civilizations. Click here to learn more about upccoming events, promotions, and more.